Should I Replace My Toothbrush After an Illness? In the days after recovering from a nasty bug, you likely have a routine including washing your towels and sheets, scrubbing any mugs or food utensils, and sanitizing your living space. Have you ever given thought to your toothbrush and whether it needs replacing after an illness? Should You Replace a Toothbrush After an Illness? 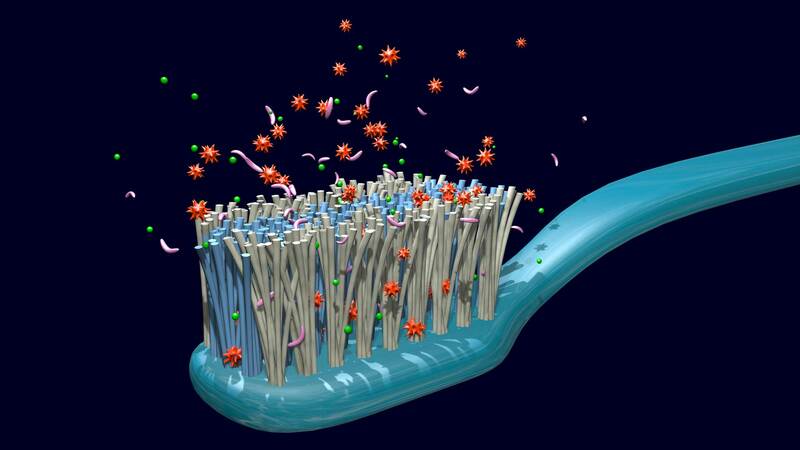 Bacteria living on a toothbrush are considered anaerobic, meaning that they will not survive in the presence of oxygen. If you let your toothbrush air dry, most of the bacteria will die. Many experts recommend that you alternate between two toothbrushes, so that one dries while you use the other. That way, you can ensure your toothbrush is free of harmful bacteria. If, however, you are sick, it’s best to replace your toothbrush to avoid any lingering bacteria sitting around, potentially getting passed on to family members. It’s a whole lot easier than trying to ensure your toothbrush is sterile by boiling it or by using hydrogen peroxide. One of the most important preventive dentistry practices is brushing your teeth daily with fluoride toothpaste approved by the American Dental Association (ADA). Even if you are not ill, you should replace your toothbrush every three to four months, or even sooner if the bristles are frayed, if you have gum disease, or if you have any oral or tongue lesions or infections. You should keep your toothbrush clean by shaking it vigorously under running water after brushing. Make sure that any toothpaste or food particles are rinsed off, and place the toothbrush upright in a toothbrush holder. A good preventative measure is storing brushes of different family members apart using different holders or containers and avoiding any contact between toothbrushes. Contact us at Avalon Dental Care to learn more about practices aimed at ensuring your mouth stays in tip-top shape. Along with meticulous oral care at home, keeping up with your routine dental checkups and cleanings will help ensure we identify any needed preventative or restorative treatments. We look forward to helping you maintain a bright, healthy smile for years to come!